When most brides dream of their wedding day they envision the sun shining with zero chance of rain. In hopes of making sure this happens some take matters in their own hands with a special Southern tradition known to ward off rain—Burying the Bourbon. 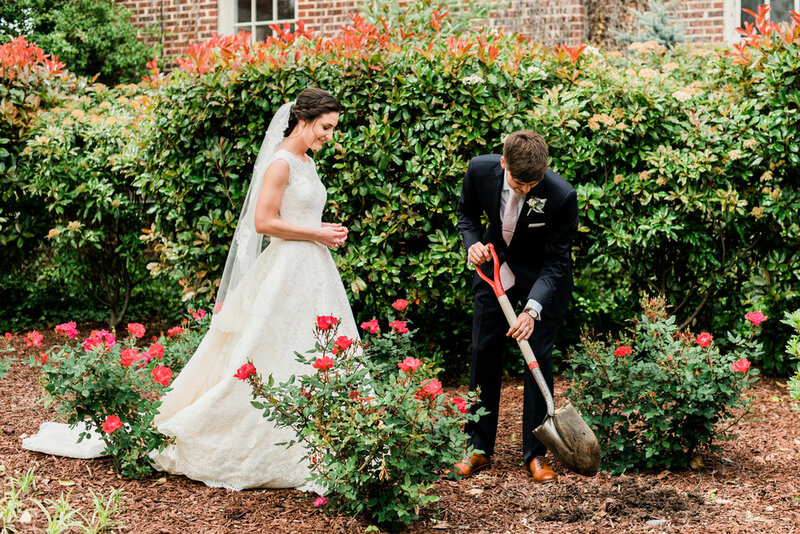 Burying the Bourbon is a time-honored Southern folklore in which a bride and groom bury a bottle of bourbon at the wedding site a month before the wedding to guarantee good weather. Tradition goes that there are three requirements to keep the weather at bay on your special day. 1. The bourbon must be buried exactly one month before the wedding day. No more, no less. 2. The bottle must be completely full. Sneaky sips are not allowed. 3. It must be buried upside down to ensure maximum weather. We have seen this tradition take place at Merrimon-Wynne House a few times. Rain or shine, the bride and groom dig up the bourbon enjoy it with their wedding party in celebration of their marriage.